With 2016 becoming increasingly worse by the minute, let’s take a brief timeout from all the doom and gloom to focus on something that makes our hearts sing: celebrity fashion. 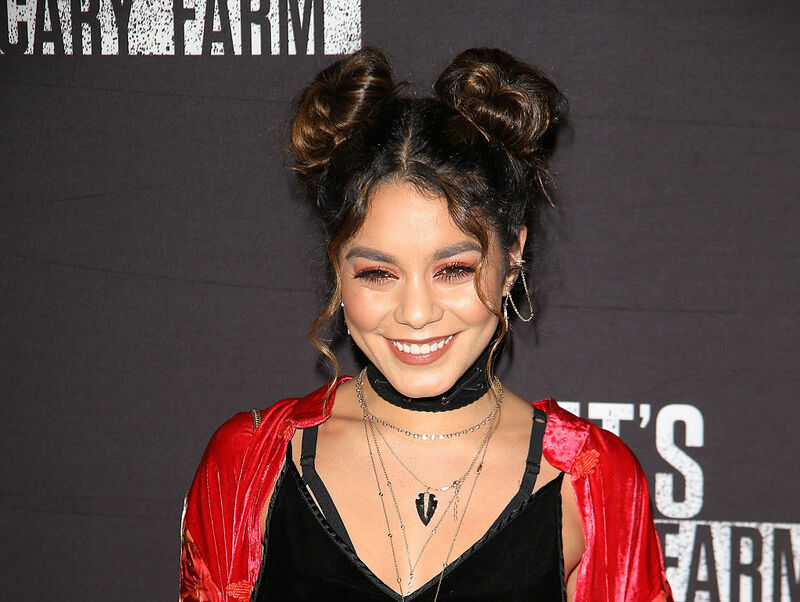 The latest ensemble that we are absolutely hearting is this boho chic velvet number Vanessa Hudgens rocked on the red carpet during a recent appearance at Knott’s Scary Farm in LA. Sporting the adorable double bun hairstyle we love, the Grease: Live star effortlessly slayed in a velvet crop tank, a black high-waisted drawstring pant and a long red floral print sweater. She accentuated the look with stiletto nails (because Hudgens’ manicures are always on point), a few necklaces, a cool pair of cross earrings and a choker, which is a must-wear this fall. Oh, and we can’t forget about Hudgens’ boyfriend Austin Butler, who perfectly complemented his sweetie’s vampiresque look. Not only is the actress giving us major 90s fashion inspo, we’re pretty sure Hudgens’ #OOTD is our favorite fall look so far.